Winter is coming, and that means potentially foot after foot of snow, or at least inches. You could get bundled up before the sun comes up and head outside with your trusty snow shovel to dig your car out each morning, or you could invest in a snow blower or thrower. These electric- or battery-powered tools can make your job faster, easier, and let you sleep in longer each work day. That extra sleep may be worth the cost alone! Choosing the right one comes down to several factors, including power, capacity, durability, and personal preference. 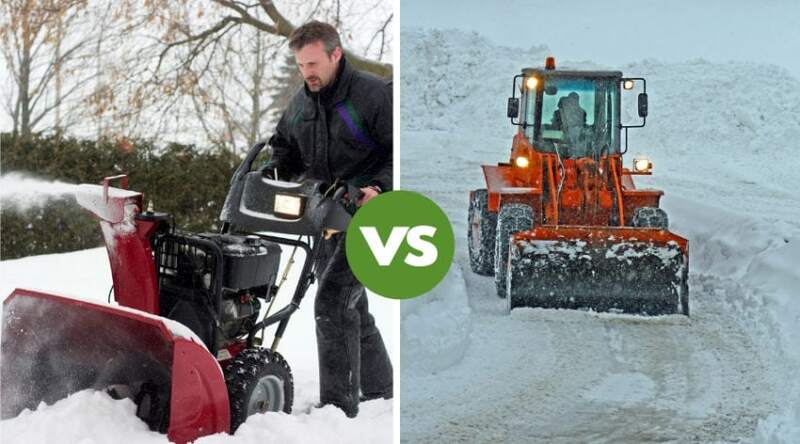 To figure out which GreenWorks snow blower is really the best, you need to start with getting to know the different products that are available and then reading some reviews, like in this guide. 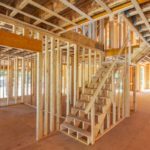 How Do GreenWorks Compare to Other Big Brands? You’ve likely seen these green-hued outdoor tools when you’ve shopped in big-box hardware stores or online at some of the biggest retailers’ websites. One of the most important things to note about GreenWorks is that it’s making a giant step toward replacing all of your gas-powered tools with either electric-powered or battery-operated replacements. Compared to other tool brands, GreenWorks is a relatively new brand. It was founded about 11 years ago in Canada, but its headquarters is located in North Carolina. The manufacturing plant is in China. So, the 4,000 or so employees are spread out around the world, including in offices in Germany. Although it’s competing with some of the biggest brands in outdoor tools, it received a hefty investment from Stihl. That’s kind of an indirect connection, though. Stihl bought a share in the parent company Globe Tools Group, which is the umbrella for GreenWorks. 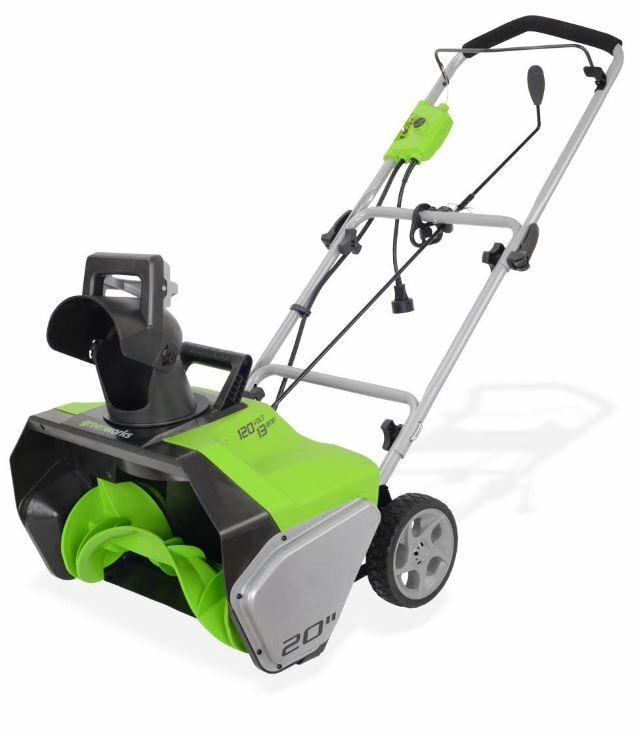 You won’t find a single gas-powered outdoor tool from GreenWorks, which sets it apart from other companies that sell snow blowers and throwers. The difference is that you won’t be able to find a mini plow from GreenWorks – the tools just aren’t powerful enough to chew up that much snow at once. Most residences don’t need that kind of power, anyway. If you’ve ever purchased an outdoor tool from one of GreenWorks competitors, then you’re likely familiar with the short warranty offered. The industry standard warranty is about one to two years. GreenWorks blows this away with a four-year warranty. That means you can use your snow blower or thrower for up to four years and if a defect shows up within that period, you can contact GreenWorks and get a repair or replacement free. Beyond warranties, GreenWorks has several dealers spread throughout the areas the tools are sold that offer parts and services. So, even if you’ve had your GreenWorks blower or thrower for 10 years, you can still get it serviced so it keeps serving you! 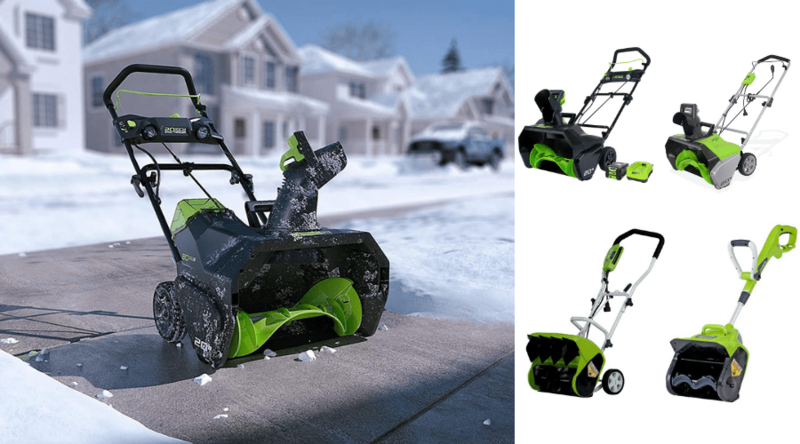 Here’s a look at the best Greenworks Electric snow blower reviews. 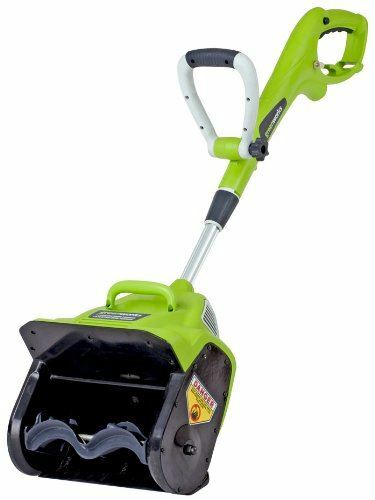 The GreenWorks 2600502 12-amp 20-inch corded snow thrower provides enough power and capacity to munch up about 12 inches of snow at a time, even though its clearing depth is only rated for 10 inches. As well as it handles the big snow dumps that Mother Nature sometimes rains upon you, it also handles those breezy few inches that you get. The 20-inch width of the mouth means you can clear your driveway quickly – more quickly than a snow shovel. If you’re dealing with high banks left by the ever-considerate giant plows in your town, you may need to brush the stuff down to the path of your thrower to move it where you really want – out of your driveway and sidewalks! Be sure to buy a proper extension cord for your new beast. It’s a 13-amp motor, so it requires a heavy duty cord, and if you want 100 feet or more, you may need to buy the 15-amp extension cord. You’ll be glad you did, though, when you reach the end of your driveway and you can just turn the corner to start plowing through the snow on your sidewalk. Of course, this electric-powered snow thrower isn’t self-propelled, so you’ll have to put some muscle behind it, but it only weighs about 30 pounds, so anyone should be able to push it. When you need a powerful winter thrower that is easy to use, this could be your most affordable option. Not everyone gets a full winter season of storm after storm. 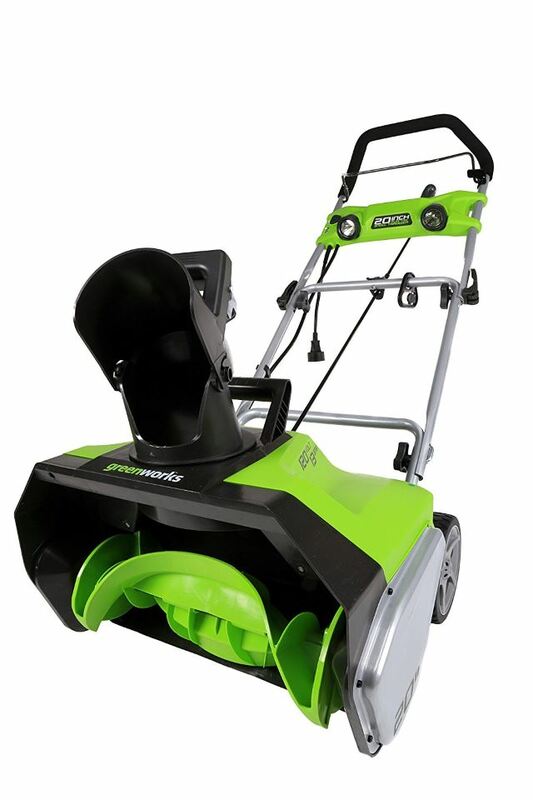 Instead of a regular old winter shovel, you could consider the GreenWorks 26022 10-amp 16-inch corded snow shovel. With 10 amps of power behind each push of this smaller version of a snow thrower, you can clear up to 6 inches of snow in probably less than half the time as with a regular shovel. At just 26 pounds, this lightweight snow-eating machine can clear your walkways and driveway quickly and efficiently. The wheels on the back of this snow thrower make it even easier to push around. Surprisingly, it throws material even farther than most throwers – up to 25 feet! 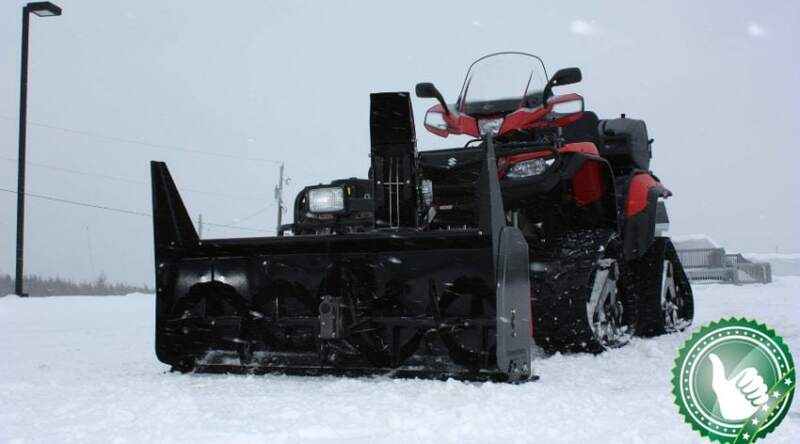 Its 16-inch mouth width is smaller than other snow blowers, so you may have to make extra passes to completely clear all the paths, but this does get all the way down to the pavement. It’s a good idea to choose a long extension cord that can handle at least 10 amps or more to get the most out of this electric shovel. You may also want to include a little glue when you assemble this piece. There have been reports of nuts and bolts falling out after just a few uses. If you only have a few inches of material to worry about each time it snows, then this electric shovel could be a great choice for you. The heavy white stuff doesn’t conveniently fall at the times you want it to, which is why so many people are up before dawn shoveling it off their driveways. If that sounds like you, it might be time to consider the GreenWorks 2600202 13-amp 20-inch corded thrower with light kit. Not only is it as powerful as GreenWorks most powerful electric unit, it also includes LED lights to help show you where you’re pushing the big snow-eating machine. It’s better than taping a flashlight to your head. When it comes to power, you’re getting a 13-amp motor, so this can chow down on big mouthfuls of powder and spit it back out up to 20 feet away. Realistically, you can expect it to really plow through 6 inches or so of fresh fall with no issue at all, and clear all the way down to your driveway or sidewalks. It does have a bit of a hard time with snow that’s been compacted by your vehicle’s tires or your feet. 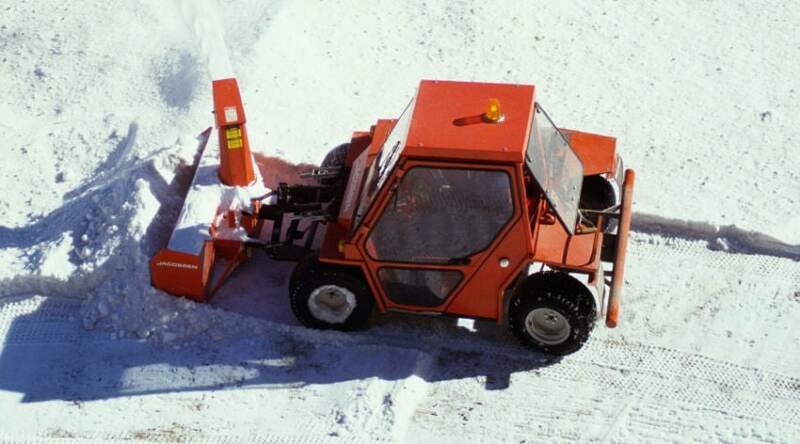 The machine is lightweight, so you can push it easily enough, but as you’re using it to mow down snow, you may have to make short shoves to really destroy the thick, wet stuff that happens sometimes. The light is a great addition to an already effective unit. For a small to medium residence, this snow thrower can tackle (almost) whatever Mother Nature dumps on you. For those pre-dawn snow-clearing mornings, this lighted thrower is a great choice – especially if you tackle a fresh snow. Improvements in technology have made it possible for you to clear your driveway and sidewalks without having to worry about cords – or gas! The GreenWorks Pro 80V 20-inch cordless snow thrower is battery-powered, which means you won’t have to panic when you make each pass on your driveway, wondering if you’re about to run over the cord. The lithium-ion batteries available today make it possible to get clean power to your bigger tools now. With this machine, you get two batteries and a charger. Each charged battery gives you about 45 minutes of power to work with, which should be sufficient for a light snow on an average driveway and some walkways. If you’re trying to move lots of snow, especially if it’s wet and heavy, you may need to use both batteries, or more. On those three-battery days, you don’t have to worry about having only two batteries. When you switch one out for the other, pop the dead one on the charger and it should be ready to go in about 30 minutes. As much convenience as you have with a battery-operated thrower, you probably wonder about its power. It turns out that this snow-muncher can handle big drifts of snow. It’s much easier for it to chew through the powdery stuff, but it can handle the wet stuff, too, it just takes longer. 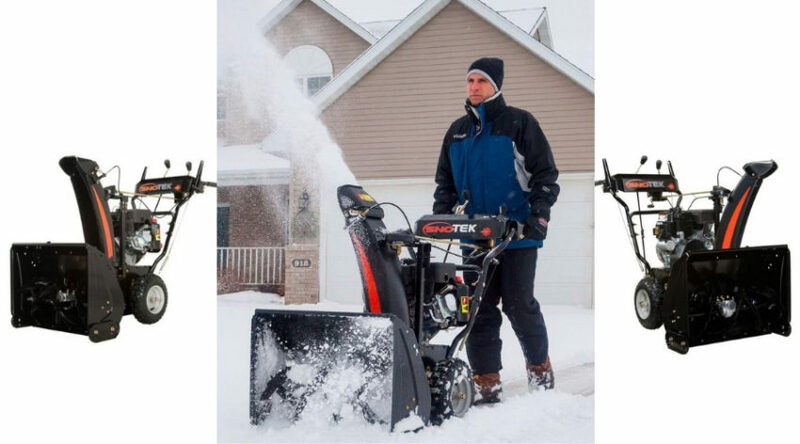 The biggest issue you may have with this snow thrower is the price. It is quite a bit more expensive than an electric unit, but still cheaper than a gas-powered snow blower. If you’re looking for a cordless solution for light to medium snow removal, this powerful, but lightweight snow thrower could be your savior. 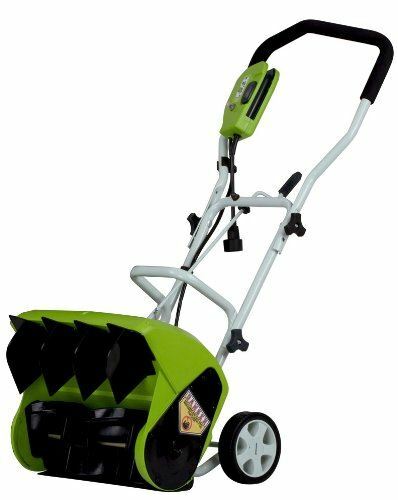 Living in a townhouse or small house means you likely have less area for storing big outdoor tools, and that’s where the GreenWorks 8-amp 12-inch corded snow thrower comes in. This little guy isn’t as powerful as the big boys, but it can easily make work of light snowfalls on smaller driveways, porches, and walkways. You get 10 inches of clearance on this snow thrower’s mouth, which means it’s wide enough to take out the snow on a standard sidewalk with two to three paths. You may need to make more passes over the freshly fallen snow to clear it all down to the pavement, but this is one of the most lightweight electric snow blowers ever. At less than 15 pounds, this is easy for anyone to use. This small unit can throw snow up to 20 feet, but there’s a catch. It doesn’t have a chute for directing where that chewed up snow goes – it goes forward. This means you need to carefully plan your paths so you don’t go over the snow you just threw, and make sure it doesn’t land in the road where you and others need to drive. 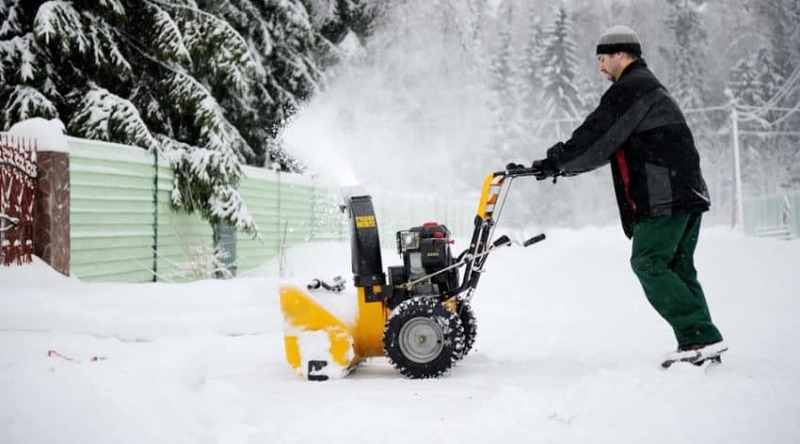 This smaller snow thrower is one of the most affordable on the market, which makes it easy to choose this over a standard snow shovel. It works best on about 4 inches of snow, but if you’re persistent and patient, you could probably coax it to handle double that or more. Storing this snow thrower is easier, too, because it’s such a compact machine. When you don’t have as much snow to deal with as the Mid-West, this affordable snow thrower could save your back. Figuring out the best GreenWorks snow blower is more about finding the right one for you and your snow situation. 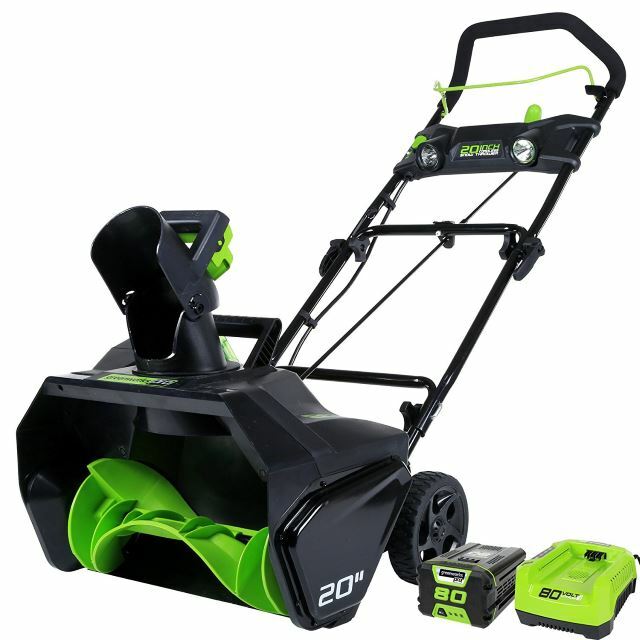 However, if you’re looking for the best machine for your money; the one that handles the most snow the most efficiently; and one that is the most convenient for all snow circumstances, you should consider the GreenWorks 2600202 13-Amp 20-Inch Corded Snow Thrower With Light Kit. This snow-crunching beast lets you work at the snow in your driveway and deck anytime you’re ready to do it. Late at night? Sure. First thing in the morning before you shower and head out to work? No problem. The included LED lights make it easy to plow through the snow and see where you’re going. The 13 amps gives the unit the power it needs to chew through and spit out up to 850 pounds of snow per minute, which means you spend less time plowing snow in freezing temperatures and more time lounging by your fireplace with a cup of hot cocoa.